Log into the Ento Employee iPhone app. 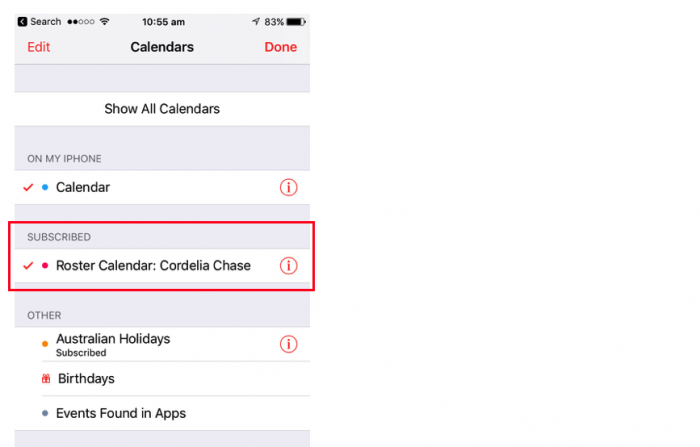 Go to Calendar sync / Settings. Press on the webcal URL until the Copy option appears. 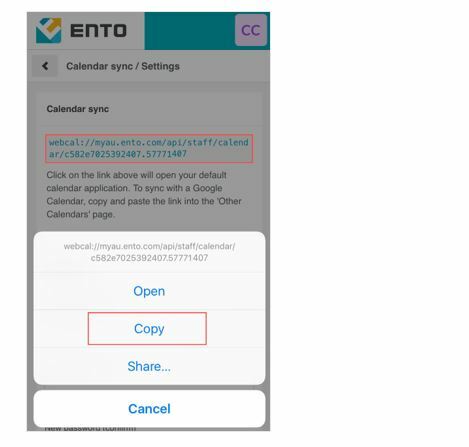 Copy link. 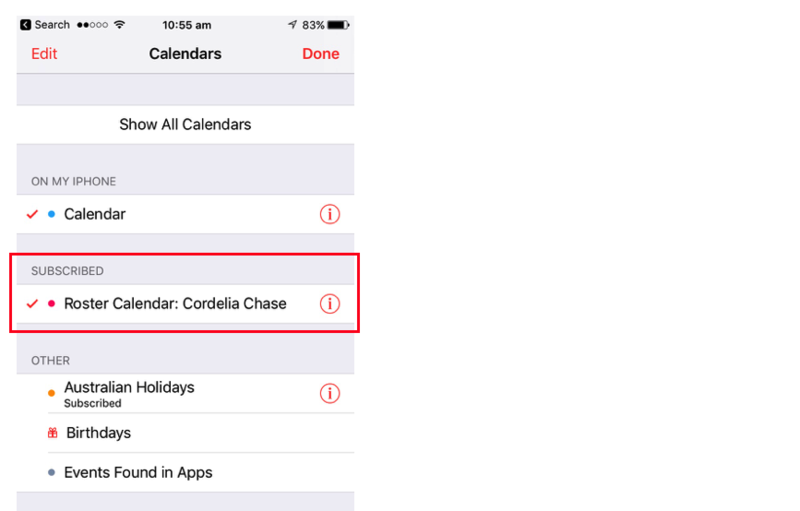 Go to iPhone Settings > Accounts & Passwords > Add Account > Other > and select Add Subscribed Calendar. Click into the Server field and paste the webcal URL. Click Next. 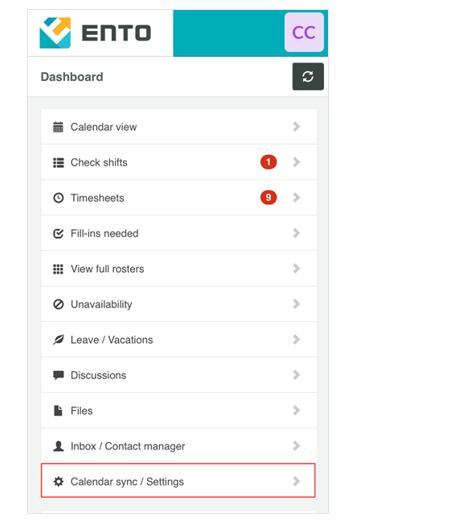 Subscription details screen will appear (with option to change calendar description), and Save. 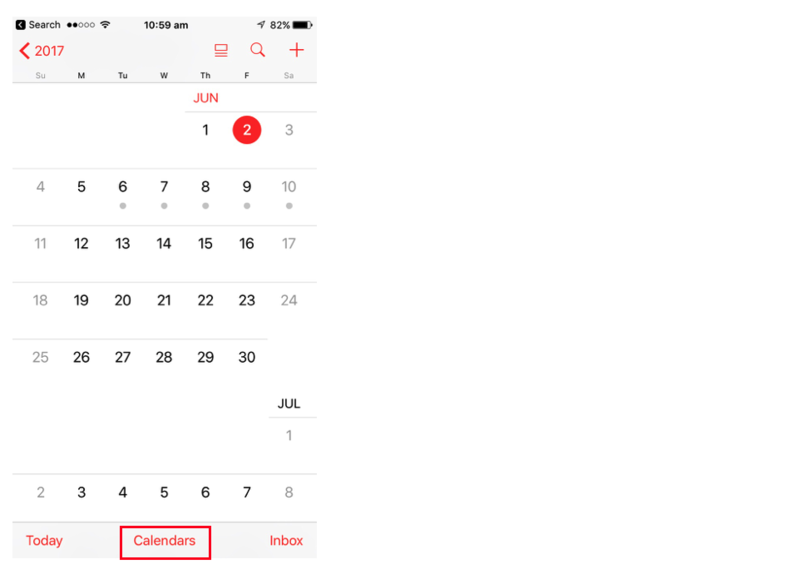 Open iPhone calendar and click Calendars at the bottom of screen. 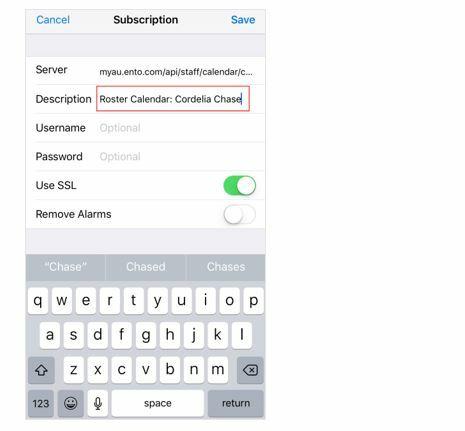 Under Subscribed your Roster Calendar: Your Name should now appear, the check mark indicates the subscribed calendar will display. 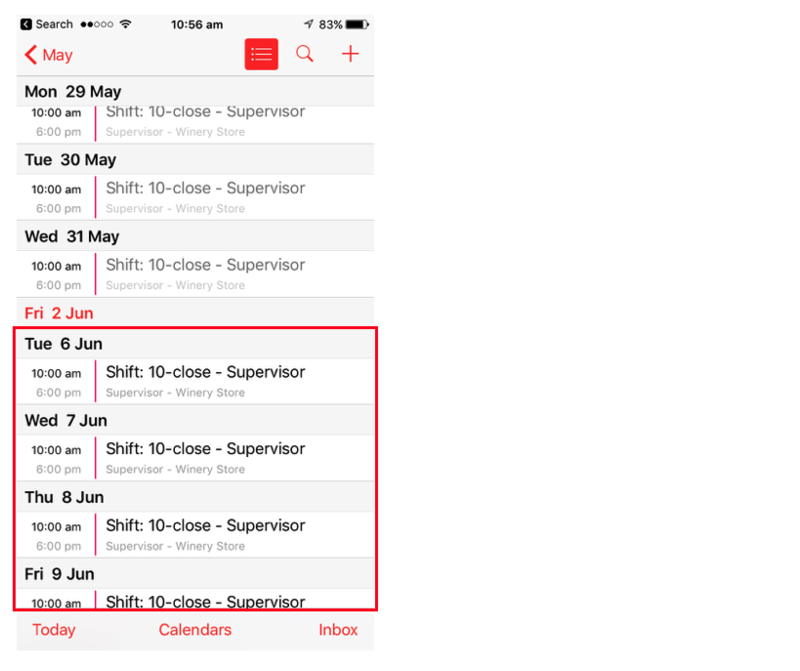 Click Done and you will be taken back to your calendar, where upcoming acknowledged shifts should now display.